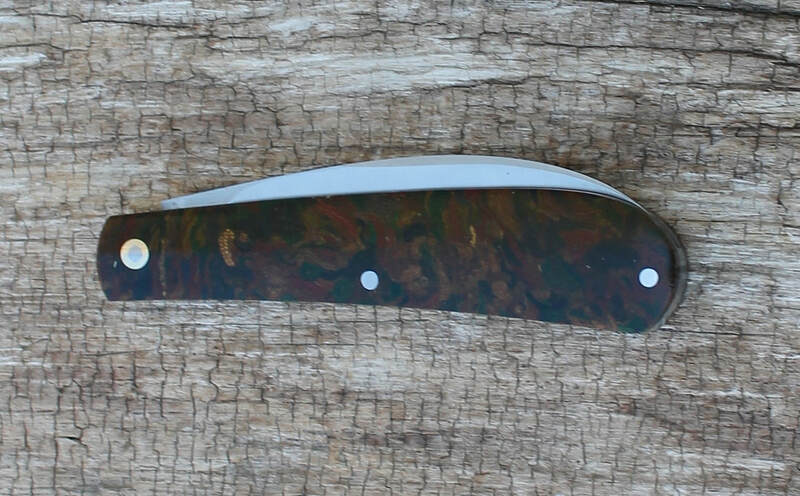 This is a 3-3/4" closed size Swayback Jack knife by John Lloyd. Hollow ground 52100 carbon blade , spring is like steel . SS inlaid shield " Bullocks" ,ss liners are mill relieved,ss pins. The outer ring of the pivot hardware is brass. The covers are rag phenolic from Romania. 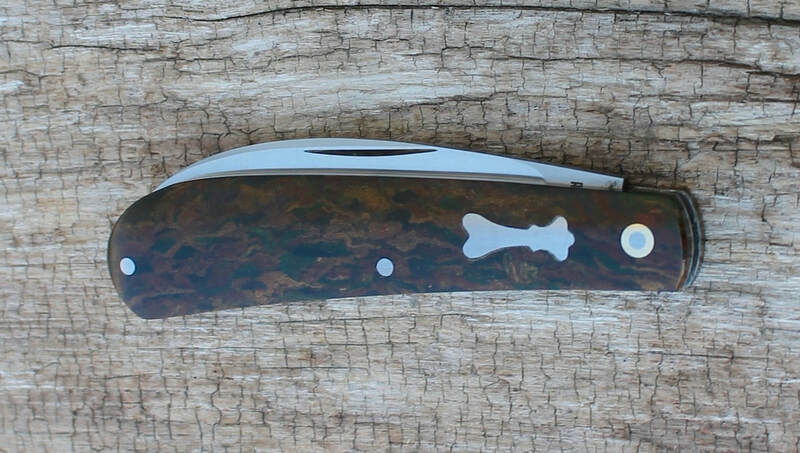 Classic pocket knife with very unique covers. Perfect smooth 5 pull & action and I can pinch it open.